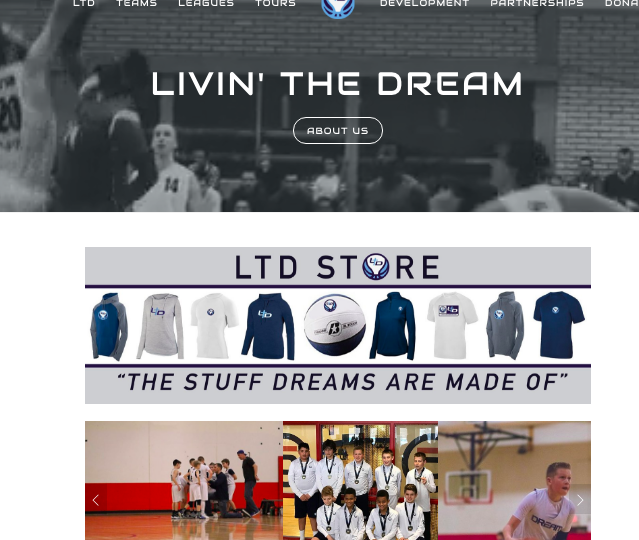 Livin' The Dream is dedicated to a different approach to sports marketing. Our commitment is to become a partner with businesses in the community. We offer a very unique marketing vehicle which provides the perfect platform for you to showcase your business. Our goal is to increase brand awareness and to promote your business so that you can reach your targeted market. Livin' The Dream has opportunities for your business to gain prime exposure by becoming an active partner within our various high exposure programs. These opportunities will allow for the effective promotion of your business to thousands of people each year. Partnerships are available at various levels. Companies can showcase their name and brand in front of thousands each year within every LTD program or within DREAM LEAGUE...one of the nation's largest summer basketball leagues. Livin' The Dream partners with multiple organizations to meet the physical and spiritual needs of our community. Since 2008, we've worked with Brothers In Blue Re-Entry to positively impact the incarcerated within the state of Kansas. We've also worked with The Urban Scholastic Center and Freedom Fire to impact lives of urban youth within the Kansas City area.